HOUSTON – APRIL 18, 2018 – VIP Staffing’s skilled trades division is proud to announce new corporate hire, Mike Blount, Vice President of Sales. This new corporate position is a result of steady market growth and is responsible for managing the sales force and ensuring sales representatives increase revenue companywide on a consistent basis. Blount’s new role will increase market presence in currently established areas by hiring and training new sales personnel, as well as developing current staff to become top performers in the industry. Blount possesses more than a decade of staffing sales experience and is the recipient of multiple industry awards for his success in generating sales, developing productive sales forces and opening new offices with top performing sales staff. “Creating this new position is an exciting step in the future growth of VIP Staffing. Mike is a proven team player and we look forward to his success and growth within the VIP family.,” said Andrew Himoff, Executive Vice President of VIP Staffing. 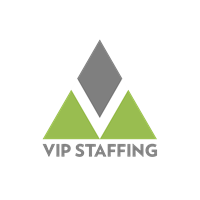 “It’s an honor to be the first ever Vice President of Sales for VIP Staffing. I am excited about aiding in their growth and can’t wait to see what the future brings for the company as well as myself,” said Mike Blount. “I am ready to hit the ground running and am fully equipped to rise to the challenge of managing the companywide sales force and increasing revenue,” he continued.